Hi loves! Today I've got for you my first update about the makeup course I have been working on with QC Makeup Academy! On the whole I've had an amazingly positive experience so far and received top marks on this unit which was such a nice surprise! The first thing I have to say about this course is that you only get out as much as you put in - at times it can be very time consuming, but if you're as passionate about makeup as I am, very enjoyable too! 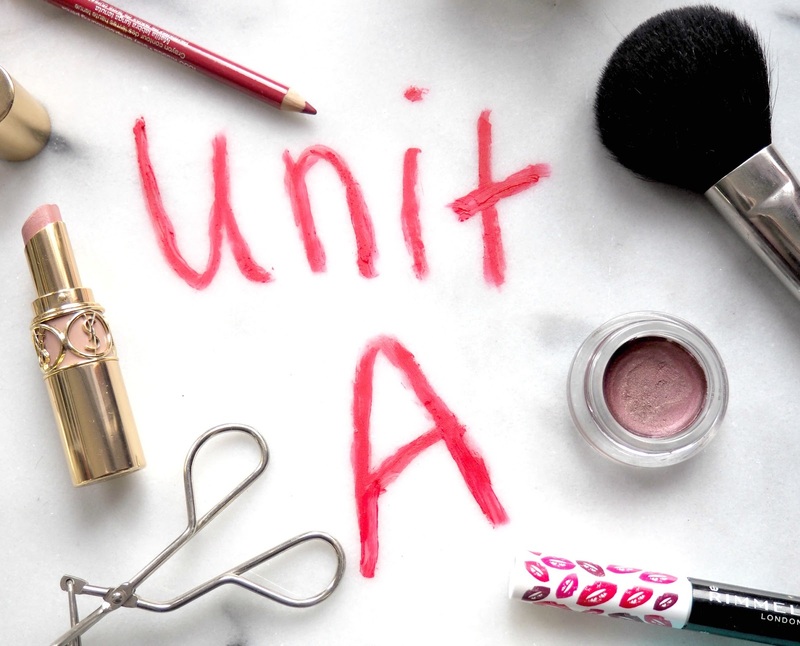 Unit A is very much an overview of all the basic things you need to know about makeup artistry: how to create an ideal environment for your clients, different types of makeup brushes, health and sanitary, different types of makeup products. I must admit that I already knew most of the basics from these areas but it was nice to refresh my mind and have all the information in one place just to check that all the knowledge I've been iffy about in my head is correct. Every single answer to the questions in the assignments is in the booklets and cd's they provide, so you don't necessarily need to do any further research yourself - but of course any extra you do is an added bonus! All of the textbooks and information on the cd's are easy to understand and because they are split up into simple, bite sized sections it makes it a lot easier to digest! I didn't struggle at any point throughout completing this unit, just at times, as I said earlier, it could be a little time consuming. I did find that once I got in the flow I could get through quite a few assignments at once because I really got into it! Not all of the assignments in this unit were knowledge based - there was one assignment that was all about your own goals and what inspires you about makeup artistry. This assignment is basically a way for your own personal tutor to get to know you and what you love about the industry. It also goes over where you want this course to take you which is a nice way to get yourself thinking about the future and motivate you to get on with the assignments! It's worth noting that in all the units in the Master Makeup course there are optional assignments about creating your own business that you don't have to complete unless you want to. I would definitely recommend doing these assignments if you have the time because it helps you to get a feel of the industry and what it's like on the business side. In this unit the business assignments were about researching other makeup artists in your area which is always useful to be in the know about! The only difficulty I came across in Unit A was submitting my course work.. with QC Makeup Academy you submit your coursework online and then the tutor marks it. I initially submitted mine using MacBook pages which ended up corrupting the files on the other end when my tutor tried to open them! However, this wasn't a big deal as my tutor sent me the unit back and notified me of the problem and I just sent it back through again this time on Microsoft Word. My advice for anyone doing this course is to always submit assignments using Microsoft Word because then anyone will be able to open them easily! If you want to keep up with my QC Makeup Academy journey follow via email from the tab under subscribe on the right! If you're on a mobile device then click the 'view web version' button!